Arrival at Havana International Airport. Accommodations at hotel Plaza, one of the oldest in Havana, combines a rich history with a beautiful restored and charming interior in a wonderful location near the colonial heart of the city. After breakfast, at 8:30 am, we will have a welcome meeting with our tour guide and then we will go to Pinar del Río, the famous tobacco region in Western Cuba. Once there, we will visit a tobacco factory and we will take a look around the town. 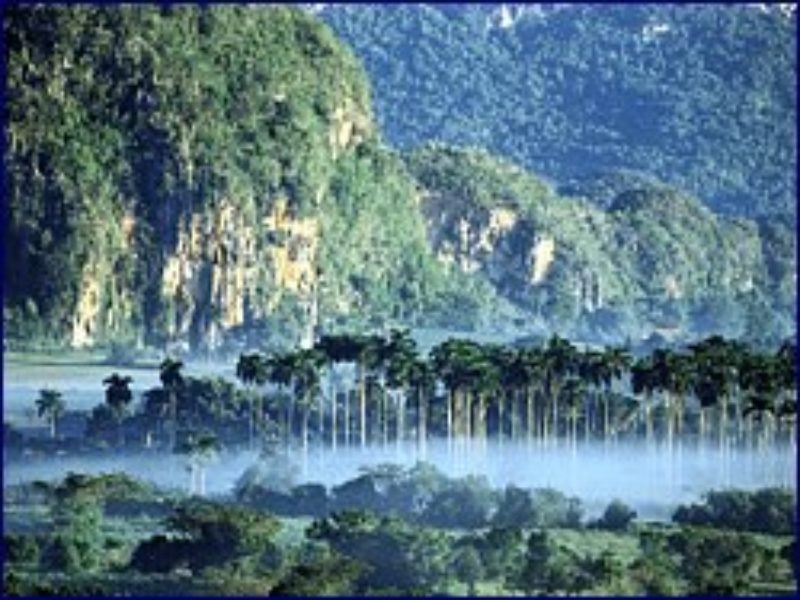 Afterwards, we will continue to Viñales Valley, one of the most attractive natural landscapes in the island. Here, the legendary tobacco grows between the crags and rocks of the steep cliffs. We will have lunch in a typical restaurant, and after a short rest we will prepare the bikes for our first bike tour. A visit to Cueva del Indio is included, a cave where the River San Vicente runs through. Overnight at hotel Rancho San Vicente. Our journey today is to Cayo Jutias. After breakfast we will set off on a 55 km ride, enjoying the breathtaking views of the Sierra de los rganos, which lies in the North West. 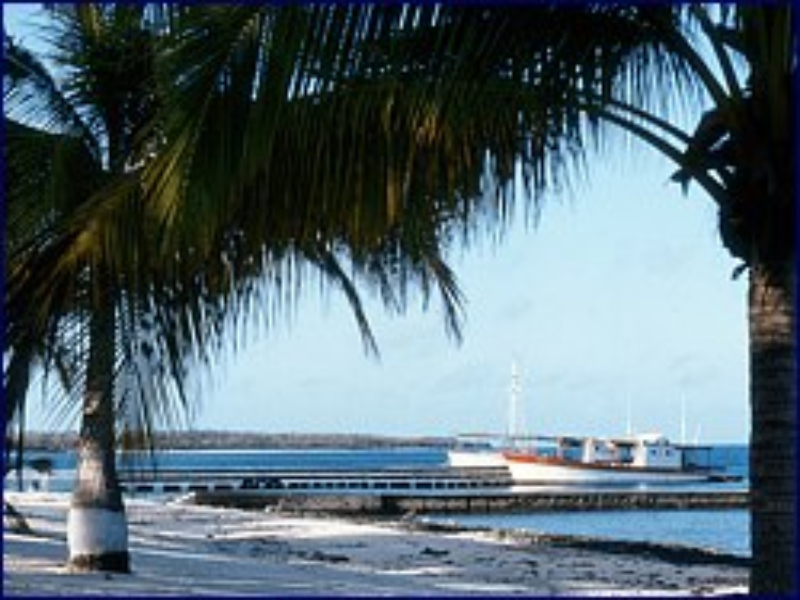 The picturesque beach of Cayo Jutías is situated on a little island connected to the mainland by a man-made causeway. Once there, we will have lunch by the beach, and later we can hire a boat or have a swim in the beautiful sea. 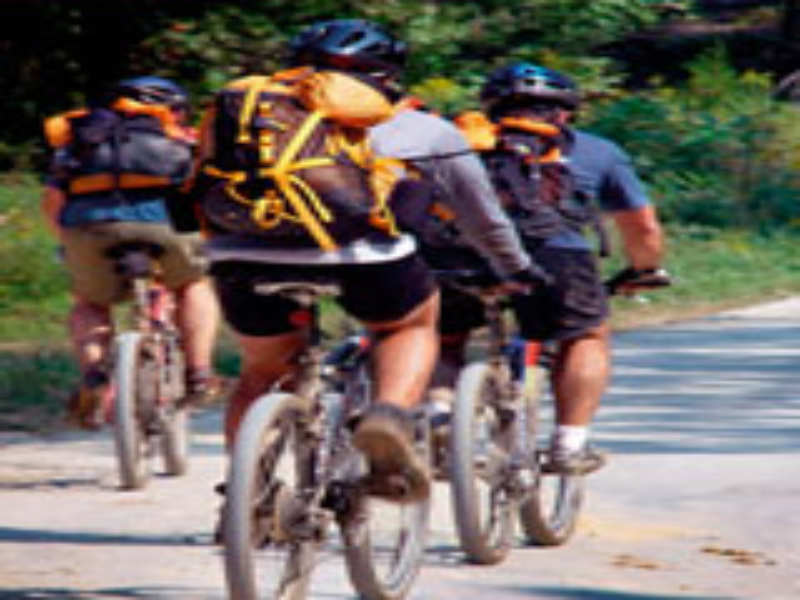 Later, we can either take the bus or cycle back to Viñales to the hotel Rancho San Vicente, where we will be having dinner and spend the night. On today's ride we will take the Jagua Vieja Road to Palma at Ancón Valley, a 30 km tour of quaint landscapes and untouched valleys. In the route there is the possibility of visiting the country lodge where Fidel Castro held secret reunions during the Cuban Revolution. We will have a picnic lunch in the lush valley, and then we will go to our next destination: hotel Villa Aguas Claras, nestling in idyllic surroundings which are perfect for a short hike or walk. In the Villa we will have dinner and spend the night. After breakfast we will be taken to Cueva de los Portales. This beautiful area was the hide out that Che Guevera used during the '62 standoff with Kennedy. 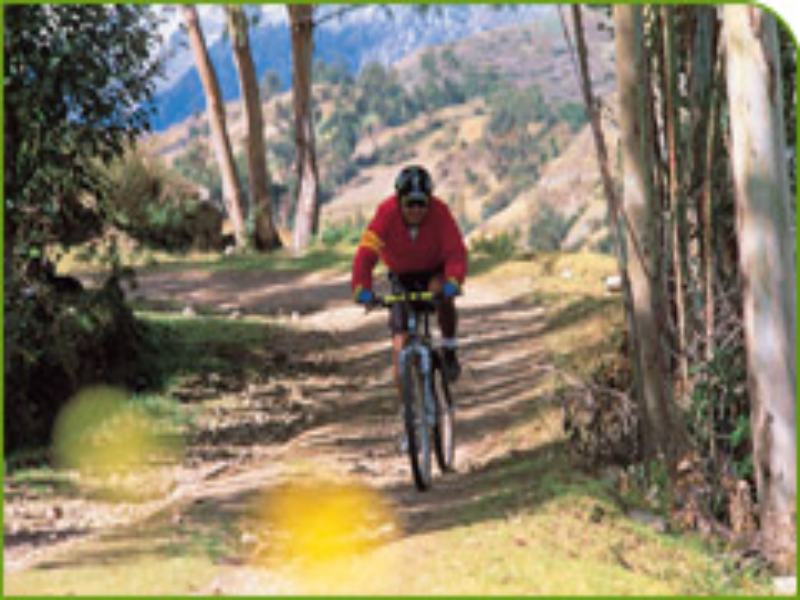 We will start the daily bike ride to Soroa over the Carretera Central. In Soroa, we recommend paying a visit to its famous orchid gardens. Dinner time will meet us at the hotel Villa Soroa, where we will also spend the night. This morning, after breakfast, we leave for Las Terrazas. Today's trip is only 20 km long. The community we will visit can be found in Sierra del Rosario, a UNESCO protected rural area of sustainable development. The River San Juan and its little waterfall flow through the thick forest, where you can see little lakes, ruins and coffee plantations from the 19th century and sulfurous sources. The name Las Terrazas comes from overgrown terraced fields which are typical of this region. The 900 inhabitants of this community live off the timber industry and eco tourism. In route we will have lunch at a farmhouse. The night accommodation will be in hotel Moka. In the morning we will return to Havana. 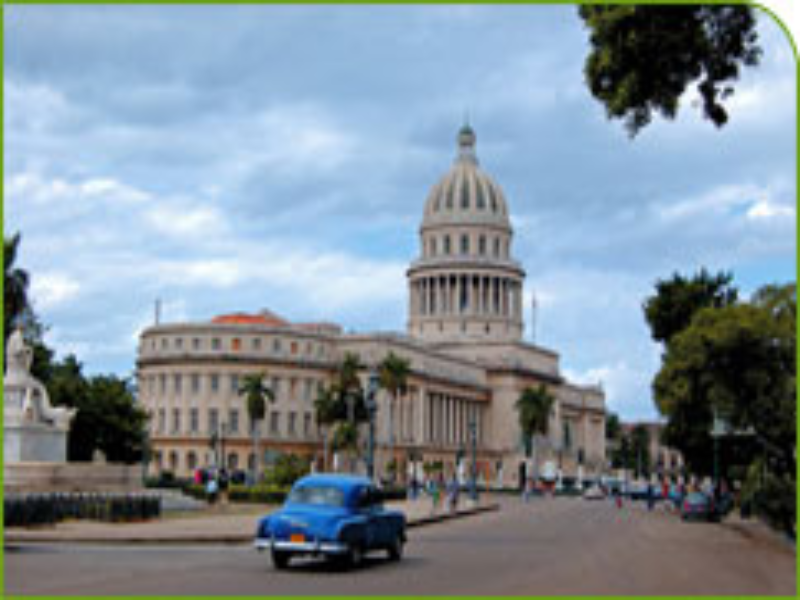 Our guide will take us on a tour for the city, where you will be able to see the ever last impressions of the old city of Havana and the Spanish-Andalusian architecture, framed by the tropical sun and the narrow streets that are characteristic of Old Havana. We will have lunch in the old part of the city. We will enjoy our last night in the Hotel Plaza. Today is the day of departure. After breakfast you will have the opportunity to explore Havana on your own before your flight back or your next accommodation in Cuba.